RCC Fringe – Elder Hall, Sun 17 Mar. Like many, I was introduced to the concept of ambient music via Brian Eno’s Music For Airports in the late ‘70s. LARAAJI was ‘discovered’ by Eno around that time. Ambient music is about space and silence as much as it is about sound. 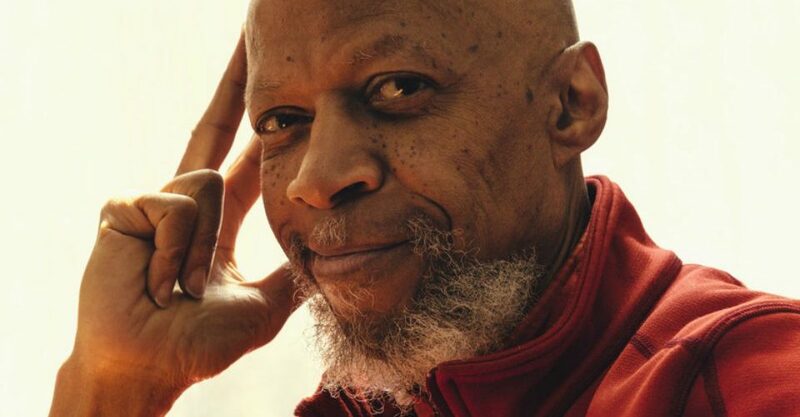 LARAAJI’s single composition 90 minute concert began slowly with lots of space and silence. Gradually the sonic voids are filled as he builds a wall of soothing sounds using an array of instruments (zither, kalimba – the African thumb piano, gong, brushes, bells and other assorted percussion) and boxes of effects with sounds of nature and multiple looping possibilities. Musical events like these tend to challenge preconceptions and can lead to fascinating ‘what is music?’ discussions. It’s interesting that in the contemporary and related unsound movement the performer(s) is barely even visible at live events, and there was a similar sense of that here too. It’s meditative music where the agent or performer is of less consequence than normally is the case but it was intriguing to see the orange clad LARAAJI play the various parts of musician, composer, technician, and percussionist. The ‘kid in a candy shop’ analogy came to mind! It was largely instrumental with some occasional spoken sounds of affirmation – ‘light is everywhere,’ ‘I am consciousness,’ ‘pulsation’ – and vocalised effects that were looped back into mesmerising chants. Ambient music has the potential to bore or exhilarate – it’s your state of mind that dictates how you receive it. After a period of adjustment I settled in and just let it all wash over me. A unique experience – literally. I’m sure LARAAJI’s live compositions are never played the same way twice.